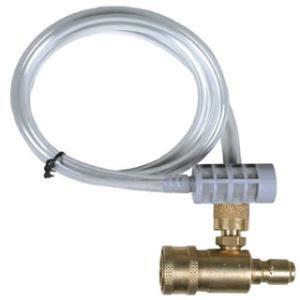 This low-pressure in-line soap and solution injector is for use with our cold water pressure washers. Also included is a brass soap tip that quick connects to the end of the wand. * Please call us for any questions on our soap injector rentals in Hillsdale and Ridgewood NJ.